The true beauty of this bouquet is within the sweet colors of the flowers. 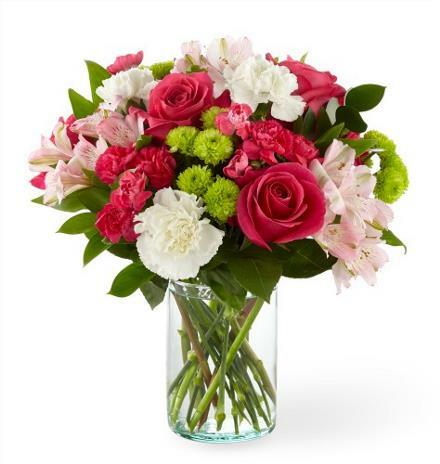 An array of hot pink roses, pale pink alstroemeria and more are set in a glass cylinder vase, making a wonderful gift to light up the face of your recipient. Arrangement Details: Could be made with red roses!